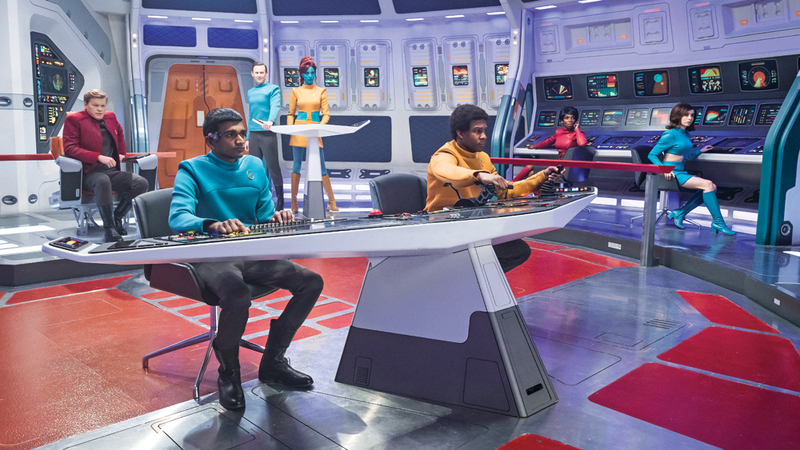 Banijay Group is looking to make a joint bid for Black Mirror producer Endemol Shine Group, whose production companies could be split up in the process. TBI understands that Marco Bassetti’s firm is looking to cherry pick certain assets from within Endemol Shine, which is nearing the final stages of a lengthy sales process. The ProSiebenSat.1-owned Married At First Sight and Old People’s Home For 4 Year Olds producer Red Arrow Studios is believed to be among the parties considering a joint bid with Banijay. Banijay – which is owned by Stéphane Courbit’s LOV Group and De Agostini Group’s DeA Communications, alongside Vivendi’s 26% stake – recently emerged as the frontrunner for Endemol. One senior industry figure suggested that Endemol – which is valued between £2.5-4bn – is “too steep a price” for most buyers and having it “carved out” presents a more feasible solution. Around 12 companies, including ITV, Liberty Global, Lionsgate and Sony showed initial interest in the Sophie Turner Laing-run business, but frontrunners have drastically shifted in recent weeks, with ITV explicitly stating earlier this month that it had “no current interest” to buy the business. Lionsgate and Sony also dropped away, with the latter believed to have bowed out around the €2.5bn mark. “Very few of the entities in the running have the ability to take on Endemol’s debt. Also, the other issue in buying a big, consolidated group is that you get the wheat and the chaff,” said the source. One source noted that a joint-ownership deal would be “complex” but would go a long way in terms of “cost synergies” around the mega-deal. “Red Arrow does have the capital to spend with ProSieben backing, and they want the scale. They could also bring in some other money. Banijay has a stronghold in Europe, with business in France, the UK, Belgium, Germany, Italy, Netherlands, Spain and the Nordics. Outside of Europe, it has footprints in Australia and New Zealand, India, Russia and the US. Meanwhile, Endemol is spread across the US, Europe, South Africa, Israel and the UAE, Brazil and Asia Pacific (Australia, India, Malaysia, Russia and Singapore). Red Arrow has 20 production companies, including 11 in the US. Its other businesses are in Denmark, Israel and the UK. While rumours have swirled for years around ProSiebenSat.1 looking to sell off Red Arrow, CEO Conrad Albert addressed speculation in May, when he told analysts following an earnings call that Red Arrow was undergoing a strategic review, with an eye on building “a stronger footprint of [intellectual property] on a global basis”. Similarly, Fox could also enter the fray, in partnership with Banijay. As reported last week, one possible outcome could see Apollo going back to Fox – effectively Disney – with a new offer. It is believed that a scenario in which Endemol has joint owners would raise complex questions around IP ownership, with the central question being how the assets may be divvied up. One option could see an owner such as Banijay picking up all of Endemol’s format IP as well as a handful of production businesses in a certain territory, leaving the remaining businesses for another party. Endemol Shine is not likely to sell off format IP to external companies as it would undermine the value of their production businesses. It is believed that The Circle producer All3Media similarly faced being divided up ahead of its sale to joint owners Liberty Global and Discovery in 2014. Banijay declined to comment. ProSiebenSat.1 and Red Arrow Studios have denied their involvement in the sales process.